Welcome to The 405’s Guide to J-Pop. Enjoy. Some of @ladygaga band @timstewart @kernbass #brockettparsons ; some of her dancers #ianmackenzie #grahambreitenstein @theresastone91 @karenschuang our makeup artist @sarahtannomakeup and 2/3 of #babymetal and their scary talented band! 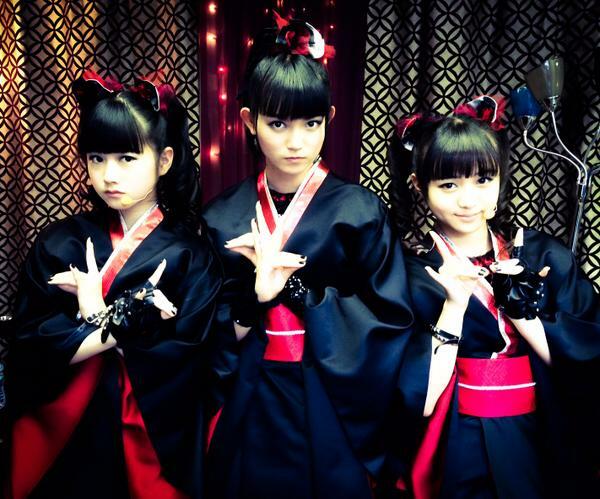 BABYMETAL appears on the Scène Heavy stage at 1:10PM – August 9 Today! I ruined my baby metal photo.